I love teaching language arts. Reading, writing, phonics, grammar, spelling – you name it and I LOVE to teach it. But let’s be real here – homeschool curriculum can be REALLY expensive and when you’re addicted to buying language arts curriculum, it can really add up. I was compensated for my time in exchange for an honest review – all opinions are my own and I only recommend things that I believe in. Please see my Disclosure page for more info. When a friend first introduced me to the Homeschool Buyers Co-Op I couldn’t believe my luck! I was a brand new homeschooler then, and was really feeling the costs adding up quickly. Homeschool Buyers Co-Op has been a gold mine for my homeschool. Now that my kids are older, we still LOVE the Homeschool Buyers Co-Op. With their amazing selection of language arts products, including curriculum for phonics, reading, writing, vocabulary, spelling and grammar – they really are a one-stop shop. And at savings of up to 93% off (say WHAT!!) you can really stockpile some language arts curriculum (or is that just me?). Here are MY top picks for language arts curriculum from Homeschool Buyers Co-Op for the BIG kids! You probably are not surprised that this is my first choice, if you’ve been around my blog before. I am a HUGE fan of the Brave Writer curriculum, and the Brave Writer Lifestyle is a big part of our homeschool. Homeschool Buyers Co-Op is offering some amazing prices on one of the BEST language arts homeschool curriculum out there. While it’s definitely a program with something to offer the WHOLE family, they have some amazing products for the middle school and high school crowd. Brave Writer’s creator, Julie Bogart, and her team of writing coaches are uniquely qualified to help you develop your child’s writing talent because they are themselves professional writers AND homeschoolers. They begin with a core belief that your child is a tremendously interesting person with something interesting to say. Their mission is to give you the tools, training, and confidence you need to be a great writing coach to your children. To achieve this mission, Julie has developed a comprehensive writing curriculum that spans the entire K-12 range with a rich set of options, including home study courses, language arts programs, language arts plans, and classes taught online by Julie and the other professionals on her team. CLICK THE IMAGE TO HEAD OVER TO THE HOMESCHOOL BUYERS CO-OP AND CHECK OUT THE BRAVE WRITER GROUP BUY OFFERS! Looking for a fun writing activity for your older student? The One Year Adventure Novel might just be what you’re looking for – and at the Homeschool Buyers Co-Op, this unique language arts homeschool curriculum is being offered at an incredible price! The One Year Adventure Novel curriculum guides students (grades 8-12) step-by-step through the process of writing a structured, compelling adventure novel over the course of one school year. We have had several conversations with Daniel Schwabauer, the creator of the popular One Year Adventure Novel, and we think it’s fair to say that Dan is passionate about giving students the training and support they need to become proficient creative writers. When you think of Saxon you probably think mathematics – but Saxon also has a spiral-learning grammar and writing curriculum. Grammar and Writing is a comprehensive language arts program based on the Saxon model of incremental development and continual review.Grammar and Writing covers English grammar, writing, spelling, punctuation, and vocabulary development. Click the image below to check out Homeschool Buyers Co-Op’s group buy for the Saxon Grammar and Writing curriculum! Online learning for middle school and high school students allows for independence and self-directed learning. The Homeschool Buyers Co-Op is offering an amazing price on PLATO Courseware Language Arts by Edmentum designed for students in 6th – 12th grade. Each comprehensive award-winning unit delivers up-to-date, spiraling instruction that builds upon previously introduced information and correlates to specific standards and objectives. A built-in, sophisticated test bank links questions to specific objectives to help ensure mastery of the standards. Students apply their new knowledge and concepts learned to theme-based scenarios in hands-on learning applications. Grammar is one of those subjects that homeschool parents often dread teaching. We remember our days of dry, boring grammar lessons and it can feel very overwhelming to bring these lessons to our kids. Analytical Grammar uses a unique method of teaching grammar, which starts from “ground zero” – assuming that the student knows no grammar – and continues on from concept to concept, until the entire body of knowledge which we call grammar is covered. Since every concept is woven logically together with every other concept, there simply is no reason for endless repetition and drill. 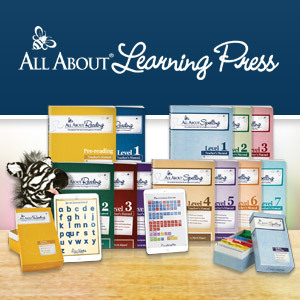 Want to check out Homeschool Buyers Co-Op’s “best deal on the planet” for Analytical Grammar? Click the image button below!